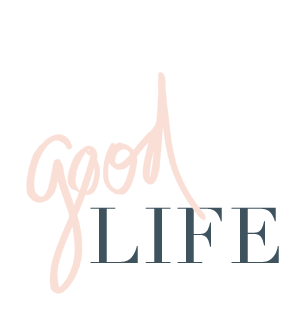 jillgg's good life (for less) | a west michigan style blog: check it out: forever 21! check it out: forever 21! I stopped in F21 recently... be proud of me: I didn't buy any clothes. Just some accessories. I really needed sunglasses (I had two pairs break recently). But I at least did some "research" to check out what was new and fun! Stripes aren't going anywhere... I love this top. And it's only $8 - what a steal! Perfect for late summer/early fall. I really loved this top... the silky finish, the pockets, the drawstring waist and the perfect neutral color had me swooning. This and jeans and boots or sandals - perfect! I have an earlier version of this wallet and I just love it! Any time I whip it out I get compliments on it... plus, it's like less than $10. Nice. I don't usually get into tops with printing on them like this... but they had a ton of collegiate inspired tees that were very vintage-y looking. I would love one with a blazer scarf and cuffed jeans for fall. Love looking at heels, but just can't bring myself to wear them very often. I am such a "flats" girl. Cute tops... love the second one. Although you will often catch me in something like the first one. What cute stuff. I adore the striped shirt and silver clutch. Ooh I may be poking around their website later today... love the striped shirt (and I'm hitting a major shirt shortage due to shrinking (the shirts, not me!) and some wear and tear. My daughters and I always love shopping at 21! When we were in Los Angeles in April, there was a HUGE 21 in a nearby mall and it was heaven. Their accessories are fantastic and affordable! Just stumbled upon your blog! Love seeing another SAHM that cares about the way she looks. I do, but I still need motivation and inspiration. Sometimes its just so difficult to get out of my bathrobe!